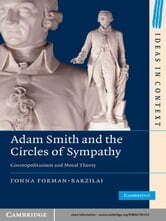 This 2010 text pursues Adam Smith's views on moral judgement, humanitarian care, commerce, justice and international law both in historical context and through a twenty-first-century cosmopolitan lens, making this a major contribution not only to Smith studies but also to the history of cosmopolitan thought and to contemporary cosmopolitan discourse itself. 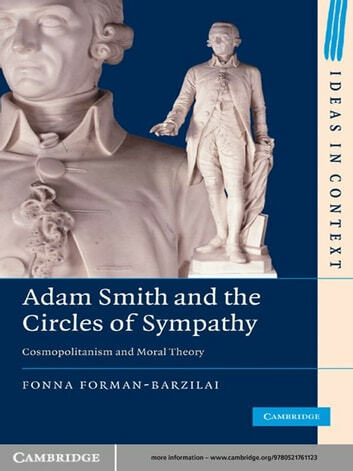 Forman-Barzilai breaks ground, demonstrating the spatial texture of Smith's moral psychology and the ways he believed that physical, affective and cultural distance constrain the identities, connections and ethical obligations of modern commercial people. Forman-Barzilai emphasizes his resistance to the sort of relativism, moral insularity and cultural chauvinism that too often accompany localist critiques of cosmopolitan thought today. This is a fascinating, revisionist study that integrates the perspectives of intellectual history, moral philosophy, political theory, cultural theory, international relations theory and political economy, and will appeal across the humanities and social sciences.